Celebrate the New Year in Style at the Western Supper Club & Inn. Set in a lavish setting of the Historic Mansion - decorated to rival Mr. Gasby's most spectacular parties! 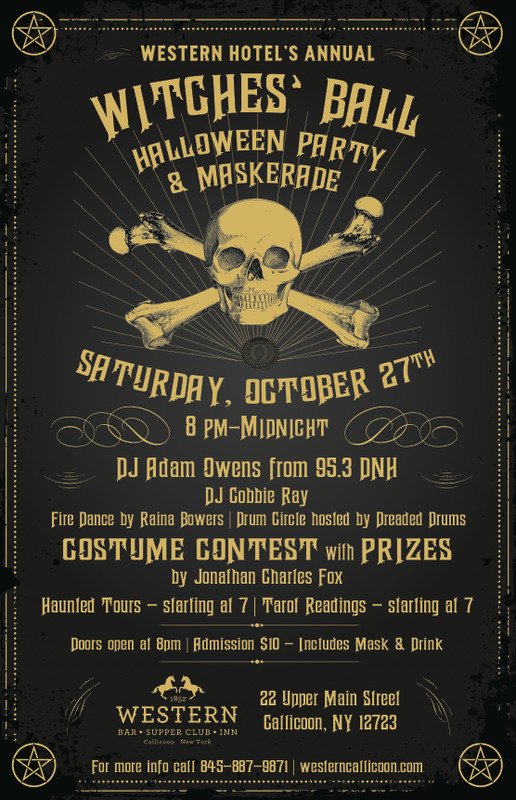 Join us for a lavish 5-course dinner and dance the night away with NYC's Serpentones and DJ Adam Owens from Radio DNH. Champagne Toast & Balloon Drop at Midnight!! Complimentary Hats, Noise Makers & Party Favors! State of the art lighting and sound!! Lodging is available at the Western - Inquire with the hotel for specials by calling 845.887.9017 *only a few rooms left! Western Ballroom is pleased to present the Eilen Jewell Band. Cliff Westfall will be opening the concert. 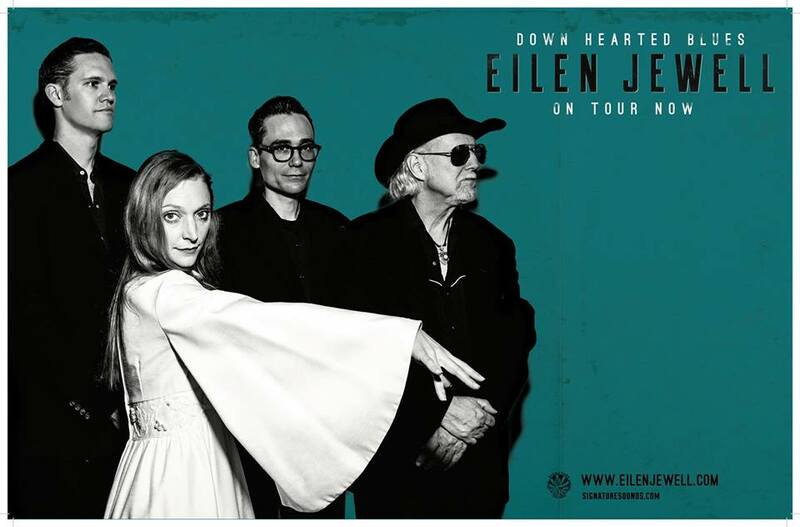 Eilen Jewell bridges many elements of American music: country, swing, jazz, rockabilly. With a voice that soars and croons where few chance to sail, keen, detailed songwriting, several wildly acclaimed albums, a neighborly, almost self-effacing stage demeanor and a crack, retro/country-billy band that swings you from Twin Peaks to Butcher Holler, Eilen Jewell never fails her audience. Craft Beer & Brats All Day! Live music, vendors, food, games & dancing! An inspired multi-course meal, featuring peak season wild-foods and the very best from 5 local producers, featuring Beaverkill Valley Trout, Tonjes Farm Cheese, Willow Wisp Organic Farm, Mauer’s Mountain Farms and Northern Farmhouse Pasta. Presented in supper club-style, The Western’s warm and congenial atmosphere is the perfect venue for showcasing these seasonal ingredients at the height of their flavor and freshness. This five course dinner incorporates traditional 'first of spring' locally foraged edibles and is a wonderful opportunity to enjoy these delights with a convivial group of very special guests. Complimentary Seasonal Cocktail Included! Spectacular New Year's Eve at the Western!! Your ticket includes a very SPECIAL FIVE COURSE DINNER, in the fireside dining room, with a glass of bubbly...then join us upstairs for the PARTY in the Historic Western Ballroom! We have quite an evening planned with a stellar meal and guaranteed-fun entertainment... and, of course, a champagne toast at midnight! Ring in 2017 with Classy Country Style!!! Dancing with **DJ Mike Scullion all night long! The Western is the place to be this New Year’s Eve where we’re fast becoming THE place to throw a party. Come celebrate this special night in the Historic Ballroom. *Cliff Westfall is a Kentucky-bred/NY based honky tonk singer and songwriter. Known in the New York country music scene for his vocals and clever update on classic country songwriting, Westfall also partnered with Matthew Horn in the Catskills-based acoustic duo The Needmore Brothers. His new album, produced by Bryce Goggin (The Ramones, Antony and the Johnsons), is due out in Spring 2017. Jonathan Gregg is a NYC-based songwriter, guitarist and pedal steel player whose own band, The Linemen, has just released the critically acclaimed album 'Close the Place Down". Graham Norwood is a singer, songwriter and guitar player whose work has elicited comparisons to Elliott Smith, Jeff Buckley, and George Harrison. Norwood co-produced Cliff Westfall’s upcoming album, on which he also played guitar and added harmony vocals. Jeremy Chatzky is one of the premier bass players in New York City, and has toured and recorded with the likes of Bruce Springsteen, Ronnie Spector and Laura Cantrell, among many others. Drummer Will Rigby, in addition to being a founding member of power-pop legends the dB’s and releasing two solo albums, has played with many well-known artists, including Steve Earle, Matthew Sweet, Kelly Willis, and Freedy Johnston. **DJ Mike Scullion is Sullivan County Gold, with a massive music collection and a style that keeps a party going into the wee hours! Come Early/Stay Late…Let’s ring out the old and bring in the New Year at Sullivan County’s Oldest & Newest Western Hotel! Spectacular New Year's Eve at Western Ballroom!! Ring in 2017 in Classy Country Style. $25 includes all entertainment and a champagne toast at Midnight!! We’ll have a full cash bar in the ballroom and our best small plates available from the kitchen. Jonathan Gregg is a NYC-based songwriter, guitarist and pedal steel player whose own band, The Linemen, has just released the critically acclaimed album 'Close the Place Down'. If you would like to start your evening with a very special five course dinner in the fireside dining room, please call: 845-887-9017 for details. We will be showing the art of James McGinley in the ballroom for the Artwalk this Saturday 1-8 PM with artist reception from 4-6 PM. JAMES McGINLEY is a realist painter of landscape, urban scenes and portraits. Born in 1937 in Jersey City, New Jersey, McGinley is considered one of the three most important 20th century artists of that state, along with his teacher John R. Grabach (1882-1984) and another of Grabach's students, the watercolorist Henry Gasser (1909-1981). James McGinley lives in Milanvile, PA and has created and incredible body of work of landscapes of Callicoon, Cochecton, Milanville and Northbranch. The conflict between modernism and traditionalism was very strong during the late 1950's, with most young students opting for modernism. James held strongly to what he believed in...creating paintings like the masters. He was especially impressed by the works of John Singer Sargeant and Ander Zorn. In 1962 McGinley received a scholarship and traveled to Spain to study at the Real Academia de Belles Artes de San Fernando in Madrid. The school had a staggering collection of paintings by Goya, Velasquez, Ribera, Rubens, Titian, Caravaggio and all the masters. There was also a significant collection of the artist who would be the biggest influence on James' life - the great Juaquin Sorolla, who was little known in America but was Spain's most important artist at the turn of the 20th century. McGinley has exhibited at galleries throughout the Metropolitan area. He taught at his alma mater in Newark and was known as an effective and dynamic teacher of figure drawing, landscape painting and figure painting. To this day, McGinley still considers himself a student mastering his craft...always seeking opportunities for new insights. Also on view on the 1st floor: Paul Owen's work will be displayed throughout the 1st floor At the Western. Will be on view for next 6 months. In 1986 I began an effort to document rural life in the Catskill region of New York State. The family farms with the life and tradition that surround it is rapidly disappearing. I feel it is important to make a record of this tradition before it is only memory. My efforts have taken me to small family farms, as well as country events including: county fairs, auctions and lumberjack festivals. I am particularly drawn to the farmers’ respect for the land and their animals, which are so much a part of their lives. This is an ongoing project. Professor of Photography and Imaging & Undergraduate Film and Television. Work included in the collection of the Bibliothèque Nationale, Paris; Museum of Modern Art, New York; Museum of the City of New York; National Vietnam Veterans Art Museum, Chicago; NYU Art Collection, Grey Gallery; Daniel P. Witter Agricultural Museum, Syracuse, N.Y.; E. M. M. Warburg Collection, New York; Fortis Collection, N.Y.; PacificTelesis Collection, California; Astor Collection, England. Photographs published in the New York Times, New York Post, New York Daily News, Village Voice, Polaroid Newsletter for Photographic Education, American Photographer, Dance Magazine, Youth Today Magazine, and Phoenix magazine. Books: NEWYORKSEPTEMBERELEVENTWOTHOUSANDONE, A de.MO project. Vietnam, Reflexes and Reflections, by Abrams Press. Dance Design, by Stewart Hodes. NYU Senior Faculty Development Grant (1996).